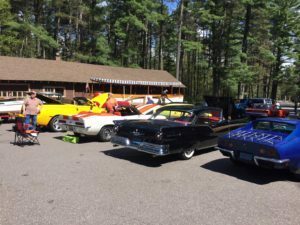 Take a step back in time at The Manitowish Waters Boat & Car Show, hosted annually on the Saturday of Memorial Day Weekend, on the grounds of the historic Little Bohemia Lodge (no pets please). 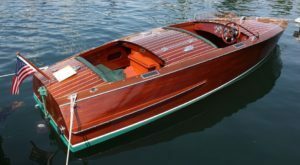 From birch canoes to pre-war boats like a 1936 Chris Craft Runabout to an original 2006 Ford GT, this show has something for everyone and every generation. Attend this must-see event to browse classic cars and antique boats – located both on land and water. Activities for the entire family include steam boat rides, face painting, kids’ games, live music, plein air painters, and informational booths. Delicious food and beverage provided by Little Bohemia Lodge. Awards are given to over 12 categories of vehicles and boats including People’s Choice for all of the attendees to decide. If you own an antique boat, classic car, antique outboard or motorcycle…..we would love for you to display it at our show, please visit our website or call the Manitowish Waters Chamber of Commerce for more information!